From grilled steaks and bacon-wrapped chicken breasts to finger-licking chops and savory roasts, this three-in-one cookbook of meaty favorites promises to satisfy the heartiest of appetites. 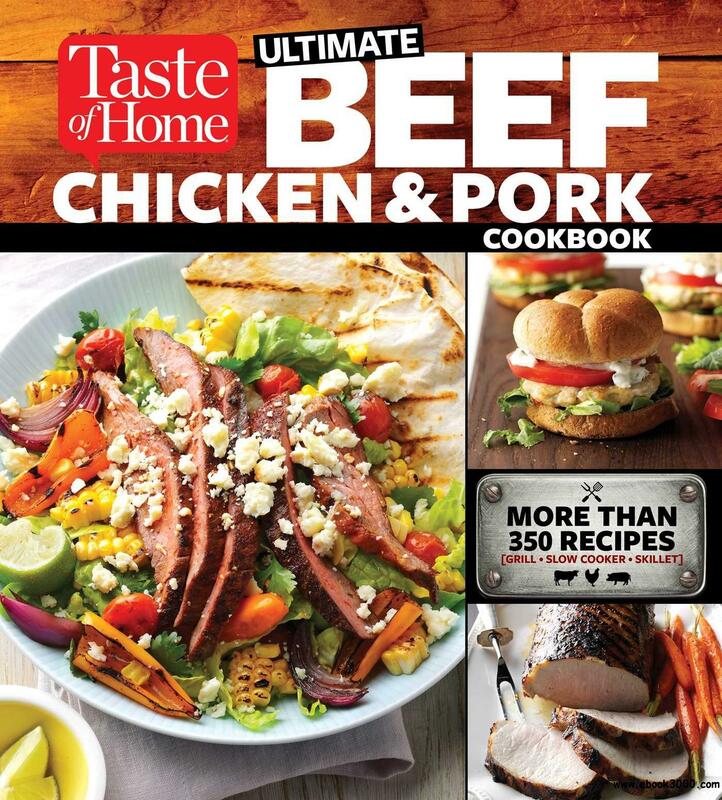 Take a look inside Taste of Home Ultimate Beef, Chicken & Pork Cookbook, and you'll discover 312 stick-to-your-ribs specialties. Dig in to barbecued classics as well as fiery new favorites, and don't miss the oven-roasted tenderloins, fast stovetop fillets and slow-cooked stews that are sure to become staples at your table. This meaty collection also includes three At-a-Glance Icons to help you create the perfect meal, regardless of your schedule. Best of all, these stick-to-your-ribs delights were tested and approved by the Taste of Home Test Kitchen pros so you know that every dish will turn out perfect!